Unless you've lived in the East Bay for a long time, it may be hard to understand the rapid shift that's taken place here in recent years: the explosion in the number of homeless people, the insane rent increases, the influx of wealthy young people — and the businesses catering to them. 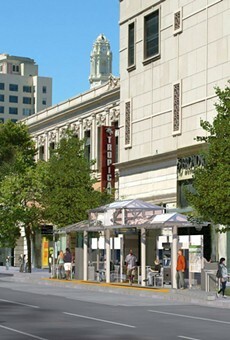 Having grown up in the East Bay, I remember shopping with my mom in downtown Oakland in the '80s. The neighborhood always felt deserted, with empty storefronts and few people walking around. Now, it's filled with bars and restaurants and cranes constructing new housing. To many, this might feel like a welcomed change from the years of neglect. But these changes have coincided with evictions and the displacement of people from their homes and businesses — particularly those who are low-income and people of color. Many are forced to move far away or, worse, live on the streets. To those who aren't cashing in on the new tech economy, the Bay Area can feel like a hostile place. This hasn't happened out of nowhere. Nor is it inevitable. Rather, it's the result of decades of deliberate actions: disinvestment, redlining, predatory lending, a lack of affordable housing construction and preservation, as well as too few tenant protections. These actions, coupled with the tech-fueled economic boom, are rapidly remaking neighborhoods into places where socioeconomic diversity is decreasing. But trying to talk about "gentrification" often leads to polarizing debates. To shed some light on the complexity and wide-ranging implications of the topic, we decided to examine the issue. The goal? To get people to understand why this is something that impacts all of us — and to offer some solutions in the process. But first, we need to understand what gentrification is. There is no universally agreed upon definition of gentrification. The New Oxford American Dictionary defines it innocuously as "the process of renovating and improving a house or district so that it conforms to middle-class taste." But if you ask the researchers at UC Berkeley's Urban Displacement Project, there's much more to gentrification than aesthetic changes: "a process of neighborhood change that includes economic change in a historically disinvested neighborhood — by means of real estate investment and new higher-income residents moving in — as well as demographic change — not only in terms of income level, but also in terms of changes in the education level or racial make-up of residents." This definition, which accounts for historical disinvestment and demographic changes, paints a fuller picture of the forces at work that transform a neighborhood. 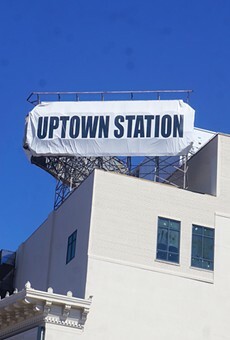 Anna Cash, the associate director of the Urban Displacement Project, said the researchers came to their definition by reviewing existing research on gentrification. While acknowledging that the topic is complex, Cash said it's important to understand how past policies and practices make certain communities susceptible to change. A lack of common understanding about gentrification would seem to make it difficult to talk about the issue. "The term is 50 years old and we still debate what it means," said Tony Roshan Samara, program director of land use and housing at Urban Habitat. He notes that the term has its roots in England, where working-class whites were displaced by higher-income whites. The economic implications remain today, but in the U.S., there's also a clear racial dynamic, Samara said. Thus, while many people may identify new hipster boutiques as an example of gentrification, displacement is the more significant and harmful characteristic. "Some people talk about gentrification as investment ... but if lower-income people aren't displaced, then it's not gentrification," Samara said. In other words, when we talk about the harms of gentrification, we're really talking about displacement. To that end, displacement also needs to be defined. Cash notes that the concept should be expanded to include "anytime anyone is forced to move against their will." In the East Bay, that can look like a range of things. "It's not just eviction but a lot of other ways," Cash said, noting extreme rent increases and landlords pressuring tenants to move by, say, ignoring requests for maintenance. "That leads to exclusionary displacement," she continued, "so neighborhoods are designed as exclusionary to low-income people because rents are so high, people are excluded from moving in." How did the East Bay begin to gentrify? Although gentrification in the East Bay may seem like a recent occurrence, its roots go back much further. The Urban Displacement Project notes that there are several historic examples of institutionalized racism that created the conditions for gentrification, including redlining — a system of real estate investment that began in the 1930s and resulted in people of color being denied access to home loans. 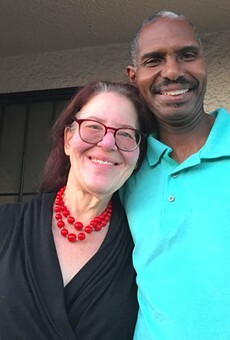 Cash said their research found that 83 percent of today's gentrifying areas in the East Bay were once rated as "hazardous" or "definitely declining" by the federal Home Owners' Loan Corporation — euphemisms referring to non-white neighborhoods where the financial system refused to extend credit to homebuyers. Realtors sometimes rename these formerly redlined neighborhoods to make them more appealing to new residents. As Azucena Rasilla and Darwin BondGraham report, sometimes historic names are brought back while others are entirely made up. Urban renewal projects, such as highway expansions that cut through neighborhoods, also paved the way for public and private disinvestment. In West Oakland, the BART tracks on 7th Street, which destroyed the area's Black business district, are one example. White flight, in which white residents fled urban centers for suburbs, was another phenomenon that set the stage for the urban gentrification we see today. Furthermore, the subprime lending boom and foreclosure crisis, in which banks targeted low-income people, especially Black and Brown borrowers, with fraudulent loans, disproportionately harmed low-income communities of color in the Bay Area. Foreclosures drove many homeowners into bankruptcy and displaced them outside the region. Foreclosed properties were later bought by more affluent residents or large corporate landlords who now rent the properties out at rates working-class people can't afford. Can we have urban revitalization without gentrification and displacement? Chris Schildt, a senior associate at PolicyLink, a national research and action institute that works on racial and economic equity, noted that it's rare for gentrification to happen without displacement. Gentrifying a neighborhood without displacing its residents is "held up as a hopeful outcome," said Schildt, but it's not a sustainable scenario. "The introduction of a different demographic signals to the market that this is a neighborhood that's desirable." That leads to businesses and investments that end up "flipping" the neighborhood. A new baseball stadium can also impact vulnerable communities. That's why, as the Oakland A's look to build their new ballpark, team president Dave Kaval wants to have "a robust community benefits agreement" to be part of the process. Chris De Benedetti has the details. However, displacement can also happen without gentrification. Schildt noted that in deep East Oakland, the foreclosure crisis led to large corporate institutions buying up homes and turning them into rental properties. As the housing market heated up, they sold them for a large profit. "That's been hugely destabilizing for residents in those neighborhoods." Schildt said it's possible to invest in a community without causing displacement — particularly if it's public investment or community-driven. Oakland's Fruitvale Village is held up as a national model. 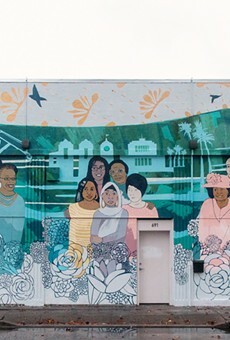 As Scott Morris reports, the mixed-use development near Fruitvale BART improved the socio-economic well-being of residents in the immediate neighborhood and preserved the area's racial and ethnic diversity. Schildt noted that the fact that social services and local businesses catering to the existing community were intentionally built into the development made all the difference. "If that was full of Starbucks and trendy new bars, it would have made it attractive to another demographic," Schildt noted. It proved that development — if done right — doesn't have to result in displacement. How bad is gentrification in the East Bay? According to the Urban Displacement Project, large swaths of low-income neighborhoods in Berkeley and Oakland are vulnerable to gentrification: 93 percent of low-income neighborhoods in Oakland are at risk of or are already undergoing gentrification, while in Berkeley, 75 percent of low-income neighborhoods are threatened. Things aren't better in higher-income neighborhoods: In fact, the researchers found that moderate- and high-income areas lost 40 percent more low-income households compared to more inexpensive neighborhoods — "suggesting that exclusion is more prevalent than gentrification." This has led to a dramatic drop in the Black population. 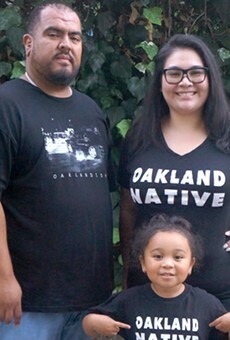 In Oakland, the percentage of Black residents dropped from 35 percent to 28 percent between 2000 and 2010 — a loss of nearly 33,000 people — and the estimate for 2017 is 24 percent. Berkeley and Richmond have also seen large declines in their Black populations. What are the implications of displacement? When people are displaced from their home and community, there are troubling effects. The Urban Displacement Project surveyed people who sought legal aid in San Mateo County and found that 1 in 3 reported some period of homelessness following their displacement. In the study, people who were displaced ended up in more dangerous and polluted environments and had less access to health-care resources. "So low-income households are often displaced to even more low-income neighborhoods than they were previously living in," Cash said. This has implications for education and economic mobility. "Displacement can be an impact of poverty but it can also worsen poverty conditions," Cash continued. Displacement can lead to longer commute times, as well as stress and depression. Children suffer academically and from behavioral and emotional issues. There can also be a loss of a sense of belonging when someone is displaced from a neighborhood. Some longtime Oakland residents told Azucena Rasilla that they feel disrespected and alienated by new residents and businesses. Artists are also at risk of being displaced, although they've also had a hand in helping usher in gentrification. Beatrice Kilat reports on how Oakland's Black Arts Movement and Business District hopes to support the city's Black artists who represent the community most at risk of being displaced. "It's not just this one terrible moment or incident," said Cash about displacement. "It has ripple effects that continue forward." These demographic shifts are resulting in the widening income inequality in the Bay Area and the further segregation of neighborhoods. A 2016 report by Urban Habitat found that, between 2000 and 2014, the dramatic shift in the Black population from the inner to the outer Bay Area coincided with an increase in poverty. And according to a Brookings Institution study, the Bay Area has one of the highest levels of income inequality in the country. What are the solutions, and where are we in the process? Gentrification and displacement may feel unstoppable, but there are ways to combat them. The Urban Displacement Project highlights three main strategies to counter displacement: increasing tenant protections, producing more housing (in particular affordable housing), and preserving existing affordable housing. There has been movement in recent years to strengthen renter protections in Oakland, Berkeley, and Richmond. Four years ago, Oakland passed a Tenant Protection Ordinance prohibiting landlords from harassing tenants. And in December, the city extended financial relocation assistance to renters displaced by certain types of no-fault evictions. In November, East Bay voters will have a chance to further strengthen rental protections: A proposed ballot measure in Oakland, Measure Y, would extend Just Cause protections to two- and three-unit buildings. In Berkeley, Measure Q would extend rent control to housing built after 1995 while providing new units with an exemption from rent control for the first 20 years. Most everyone agrees that not enough housing has been built to accommodate demand, but Kalima Rose, vice president of strategic initiatives at PolicyLink, said market-rate housing alone isn't enough. "What we've seen is that market-rate development drives gentrification and raises costs in a neighborhood," she said. While more housing is necessary, the problem is that the benefits of market-rate housing don't extend to lower-income people soon enough. "The time frame between building market-rate units and the trickle-down to lower-income people not being evicted is what you're seeing under the freeways right now," said Rose. Thus, it's important to build housing specifically for low-income people. The challenge, of course, is that it's hugely expensive to build housing in the pricey Bay Area. Zachary Murray, program manager at the Oakland Community Land Trust, pointed out that the average cost of building an affordable unit is about $600,000. Another way to generate funds is by issuing bonds. In Oakland, Measure KK has raised hundreds of millions for affordable housing. This November election, Berkeley voters will decide on Measure O, which would authorize a $120 million bond toward affordable housing. 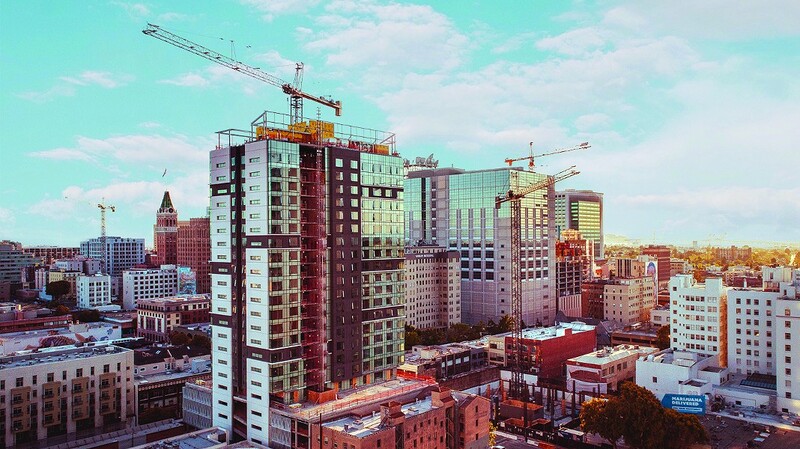 Inclusionary housing, which requires new housing to have a certain percentage of below-market-rate units, is another way to create affordable housing. But Oakland still doesn't have such a requirement. Rose of PolicyLink notes that there are three statewide propositions on the November ballot that would improve housing conditions: Prop. 1, a $4 billion affordable housing bond; Prop. 2, which would invest millions in homeless prevention; and Prop. 10, which would repeal Costa Hawkins. Perhaps, as Darwin BondGraham reports, the market-driven approach to housing is really the problem. Community-ownership models, such as the Oakland Community Land Trust, remove housing from the market altogether. "Development isn't the problem," said Murray. "It's the paradigm of development that's the problem." He wants developers to be more transparent about the amount of profit they're making from housing, and bring the community, specifically Black residents, into the conversation. That may sound like a radical idea, but with the homelessness problem not getting any better, it's clear that a fundamental change to our approach is necessary. Land trusts, and similar housing models, take homes out of the for-profit market in order to preserve affordability for the long haul. Transit-oriented development has become a key tactic to combat the region's housing crisis, but the challenge is to make sure it helps the people who need it most. 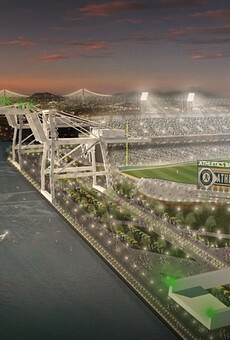 As Oakland's soon-to-be last pro sports team, the A's are trying to land on the right side of the city's housing battles, as they aim to build a new ballpark. While artists have been blamed for triggering gentrification, the Black Arts Movement and Business District wants to preserve the city's traditional neighborhoods and residents. From the Dubbs to Ice City, residents respond to the rapid changes in their neighborhoods, viewing gentrification as either a mechanism for displacement — or a financial opportunity. "NOBE," "Reservoir Hills," and "Baja Dimond" are efforts to put a genteel stamp on Oakland.